ZoteroBib Just need to create a quick bibliography? New: Just need to create a quick bibliography? Try ZoteroBib. Zotero instantly creates references and bibliographies for any text editor, and directly inside Word, LibreOffice, and Google Docs. With support for over 9,000 citation styles, you can format your work to match any style guide or publication. 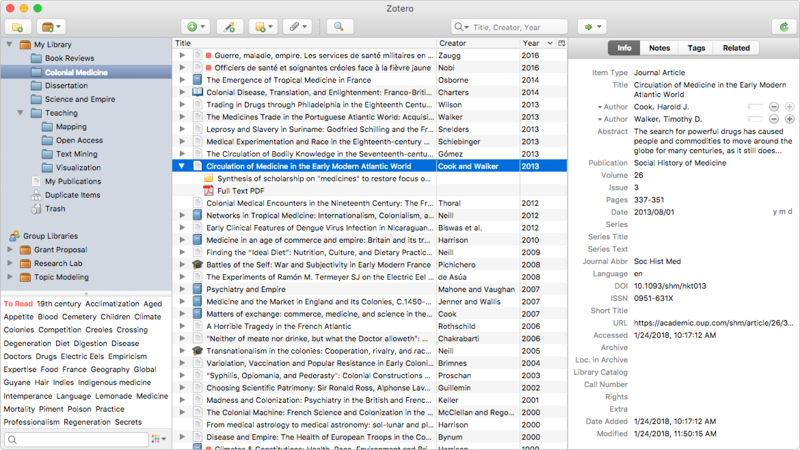 Zotero lets you co-write a paper with a colleague, distribute course materials to students, or build a collaborative bibliography. You can share a Zotero library with as many people you like, at no cost. Zotero is open source and developed by an independent, nonprofit organization that has no financial interest in your private information. With Zotero, you always stay in control of your own data. Still not sure which program to use for your research? See why we think you should choose Zotero.